Due to so many immoralities in our modern age, it is sometimes hard to determine who the father is when a woman has multiple partners. However, there is one convenient way to fish out the real daddy - DNA test. There is also the issue of whether one can afford it, find this out and more about DNA testing in Nigeria. DNA test is a test used to determine whether someone is the father (or sometimes even mother) of the child through DNA profiling and matching. DNA test, if performed correctly and in accordance with regulations, can be a solid proof of paternity that could be used in court. DNA testing has wide uses and can also be used to determine other biological relationships, but using it to identify the father of a child is the most commonly used. 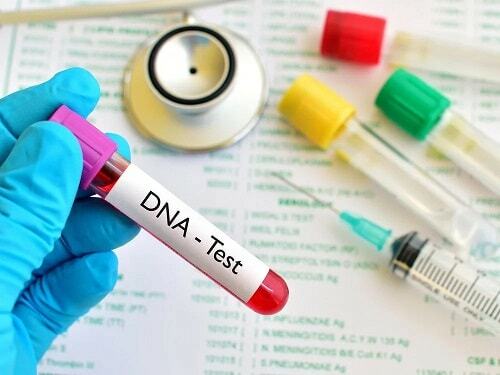 As of now, DNA test is the most reliable and advanced method of determining parenthood. It is almost 100% accurate. The results are usually in the percentage form and not in a straightforward ‘Yes’ or ‘No’ answer. If you get over 99%, then you are blessed to be called the father. DNA test can be done either by a medical professional (in a clinic/lab or at home) or by anyone. If the test is not done by a professional (or in the presence of one), the results cannot be used as evidence in court,so it is important to take your alleged child to a clinic/lab or invite a professional to your home. Note! DNA test might not work if one of the people that take part in it is a chimera. This means that the person has two sets of DNA as opposed to one, which most people have. It is a rare condition, but it might happen. Most clinics, laboratories or hospitals do not make known the prices of DNA test due to reasons best known to them. It may be because DNA testing is a very expensive thing, and labs do not want to scare people away with the price. In some countries, the prices range from $69 to $499, depending on the reliability of the test and waiting time. In Nigeria one lap named, Paternity Test Nigeria disclosed their testing price as ₦100,000 although the recent decrease of the naira may heighten the price.The ₦100,000 only covers the in-lab testing of one parent and one child. If you want to test your relation to any other children, you will have to pay additional ₦50,000 for each child. If you want a home visit (granted, if you live in Lagos), the base price is ₦110,000 with additional ₦50,000 for each additional child. Where to take a DNA test in Nigeria? 1. Paternity Test Nigeria You can contact them via their website (paternitytestnigeria.com), phone (08073008967, 09098165525, 08021468075), e-mail (sales@paternitytestnigeria.com) or visit their head office (79 Bamgbose Street, Lagos). They claim to have centres all over the country. 2. DNA Labs You can contact them via their website (dnalabs.com.ng), phone (08099282985, 07087257965, 08037880765), e-mail (research@dnalabs.com.ng, info@dnalabs.com.ng) or visit their head office (Q5 Danja Road, Unguwar Sarki, Kaduna). 3. DNA Nigeria You can contact them via their website (dnanigeria.com), phone (07059999333, 07059999444), e-mail (doctors@dnanigeria.com) or visit their head office (73 Allen Avenue, Ikeja, Lagos). 4. Lagos University Teaching Hospital (LUTH) You can find the hospital at Akodu St, Idi Araba, Lagos, Nigeria or contact it via phone (08125753107), e- mail (info@luthnigeria.org) or website (luthnigeria.org). 5. Pathcare Laboratories. You can contact them via their website (pathcarenigeria.com), phone (0700PATHCARE), e-mail (enquiries@pathcarenigeria.com) or visit their head office (9A/B Egbeyemi Street, Ilupeju, Lagos). 6. Bode DU Laboratory Technology Limited. You can contact them via phone (0803 946 1596, 0803 546 6923, 01 270 4789) or visit them at Plot 45 Oyibo Adjarho Street, Lekki Phase 1, Lagos, Nigeria. 7. Me Cure Healthcare Limited You can contact them via website (mecure.com.ng), phone (070-00MECURE), or visit them at one of their locations. READ:Malaria & Typhoid fever: What is the difference between them; what are the Natural remedies for them?